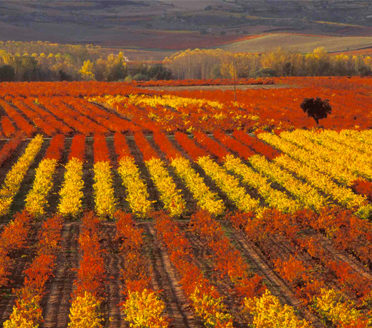 The wine regions of Spain offer the wine aficionado and discerning traveler an array of riches. The quality of the produce, the incredibly warm hospitality of winery owners, the contrasting architectural splendors in all regions, the spectacular landscapes and diversity in local cuisine ensure wonderful days out as part of your vacations. 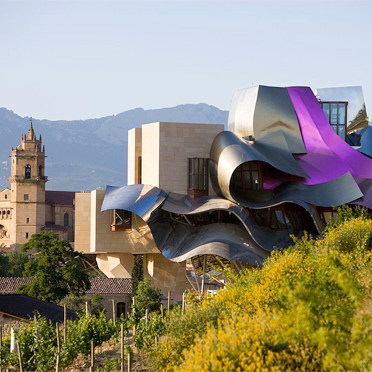 La Rioja: Few wine regions in the world, if any, offer such an impressive combination of cutting edge contemporary architecture with historic vineyards. 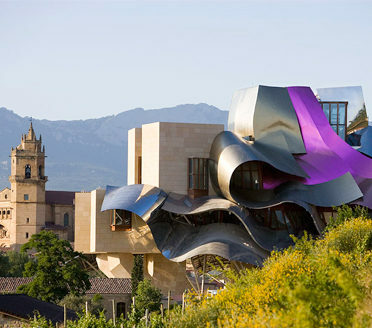 Medieval history is the background to some spectacular avant-garde winery architecture. Renowned international architects such as Frank Gehry, Santiago Calatrava and Zaha Hadid have changed the landscape and put the region on the map as a ‘hot’ destination. It helps that some of the world’s top reds are produced here. We’ll introduce you to the traditionalists and movers and shakers of new Rioja. The remote, rocky hills of the Priorat wine region are the birthplace of intense, mineral reds considered to be Spain’s most elite wines. The distinctive slate-and-quartzite soil and an energetic group of young winemakers have earned the region a reputation as Spain’s most innovative, while the area’s pristine natural beauty and long history make it a fascinating place to visit on a wine excursion from Barcelona. Time permitting, we strongly recommend an overnight stay. With our local wine expert, enjoy insider access to some wonderful characters who continue to shape the wine region. The bold reds of Ribera del Duero to the north-west of Madrid are widely regarded as some of the finest not just in the country, but throughout the world. Pingus and Vega Sicilia are the two biggest names in the region but the classy Abadía Retuerta winery is also gaining a name. It also shares its home with one of the very finest properties in Spain, the remarkable Abadia Retuerta LeDomaine. Just one hour from Barcelona, Penedès is worth considering if your travels in Spain don’t include other wine regions. Gain an appreciation not just of its famous Cava sparkling wines but also the innovative experimentation going on in the wine region, especially with its indigenous grape varieties. Jerez de la Frontera: Authentic sherry is gaining popularity again, especially amongst lovers of fine wine. 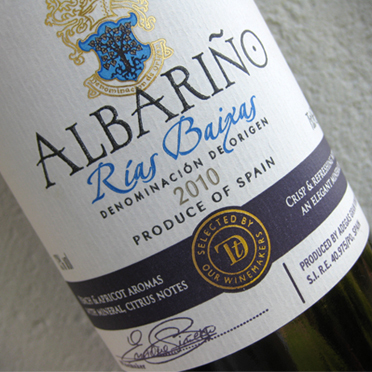 Sherry offers an incredible range of styles from the driest to the sweetest of wines. They are also great wines for matching with food, not just as aperitifs. 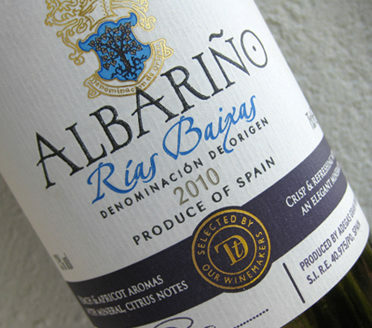 There is no better match than a bone dry refreshingly tangy fino than with Spainʼs unique Iberian ham. Or what about a pungent amontillado with sheepʼs milk cheese or wild mushrooms, not to mention a rich oloroso with game meat or the heavenly dessert of ice-cream with sweet Pedro Ximenez poured over it. To learn more about these wonderful wines, we strongly recommend a day excursion to Jerez de la Frontera during your time in Sevilla. There are many more great regions where we love to set up winery visits, such as Bierzo, or Rias Baixas and Ribera da Sacra in Galicia. Wherever your travels take you across the Peninsular, enjoy a specially designed wine tour, crafted to your tastes and preferences. We offer the very best of each region arranging entrées to both the most well-known and the most innovative owners and wine makers, combining traditional and contemporary wineries. Our 2 days in the Priorat / Montsant wine district were the highlights of the trip. I give most of the credit for that to our fantastic guide. She knew everything and everyone in the area. She took us to visit several wineries where we talked with the owners and drove around the vineyards and got an in-depth education of his philosophy and process. La Rioja was our favorite part of the trip and next time we would like to make this a longer stay and see more bodegas and hang out with our wine expert a little more. 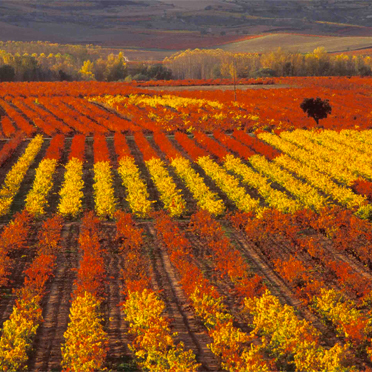 Madrid & Beyond suggested we visit the La Rioja region, which turned out to be a real highlight.